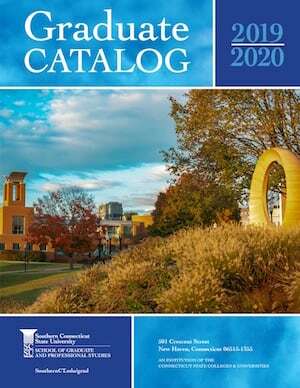 The final draft of the new Strategic Plan for Southern Connecticut State University was approved in the summer of 2015. The product of a truly inclusive effort, the plan provides a blueprint for Southern’s progress during the next decade. The plan will advance the university's academic mission and help Southern fully prepare students to be contributing citizens in the new knowledge-based economy. An implementation committee and leadership team is working on the important task of addressing the plan's goals and objectives. Please read the plan and follow the progress of this group's efforts as members of the Southern community work together for the betterment of the institution. After almost two years of work and input from multiple groups and individuals, the Strategic Planning Steering Committee is pleased to present you with an opportunity to review and provide feedback on the penultimate draft of SCSU’s 10-year strategic plan. This draft represents the third version across the two academic years that has come before the campus community for feedback and vetting. The Committee has now considered and incorporated comments from the latest round of campus feedback during April. The anonymous feedback site will be open to receive your comments until Friday, May 22. We will then consider and incorporate your feedback into the final version of the plan that will be presented to President Papazian and her cabinet at the end of the month. The implementation of the plan will begin on July 1, 2015. While the work of the Steering Committee will be completed, implementation work will be continued by an advisory committee. President Papazian is now considering the composition of this advisory committee as well as the implementation process. I want to thank all the members of the Strategic Planning Steering Committee for their hard work, but more importantly, for the thoughtfulness, care, and dedication with which they approached this important work. Special thanks to Robert Forbus for his work as project manager! I also want to thank the members of the Faculty Academic Strategic Plan Committee, members of the Student Government Association, and other campus volunteers who participated in the development of this plan. As always, feel free to contact us with any questions and comments. We look forward to your feedback. The Strategic Planning Steering Committee is pleased to present to you the latest draft for your feedback. Since January, the Steering Committee, with input from the Faculty Academic Strategic Plan Committee and other work group members, has begun to flesh out the framework with a series of action steps. We have an initial draft of action steps which will operationalize the goals and objectives laid out in the framework. It is now time for us to get your ideas and feedback on these action steps. You may recall from our February update that the Steering Committee considered during January and February all the feedback it received last fall on the initial framework. Many valuable suggestions came to the Steering Committee through a series of small-group meetings, as well as anonymous comments sent through our website. We will follow a similar vetting process in April and then incorporate your feedback into a final version of the plan, which we will deliver to President Papazian and her cabinet in June. We have scheduled a number of meetings with campus constituencies to discuss the most recent draft. Feel free to attend one or more of these meetings as your schedule permits, during which you may provide the Steering Committee with your feedback. As always, feel free to contact us with any questions and suggestions. Alternatively, you may provide us feedback anonymously over the web. We look forward to your feedback! Despite the harsh winter and many cancellations, the Strategic Planning Steering Committee has continued with its work. We are in the final semester of a four-semester planning cycle; and, we will complete our work ahead of the start of the plan’s implementation on July 1. The plan will be for the years 2015-2025. Allow me to bring you up to date on what has been done since our Town Hall meeting in October, during which we introduced the draft framework for the strategic plan. In November and December, members of the Strategic Planning Steering Committee, as well as the President, visited with various constituencies on campus and off to present the framework, engage in discussions about it, and receive feedback. We also received anonymous feedback through our Website. In mid-January, the Work Group Co-chairs met to consider all feedback received from various constituencies, and to make appropriate changes based upon those comments. In February, the full Steering Committee met to review and refine the document. 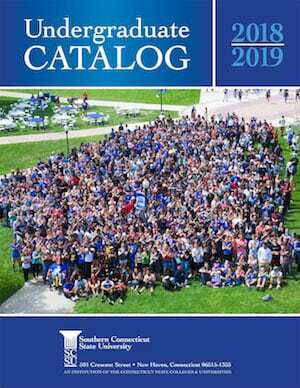 While this document is still being revised, the Work Groups -- which comprises the Steering Committee, members of the Faculty Academic Strategic Plan Committee, and other volunteers are developing action steps and establishing metrics to bring the plan to fruition. Once the snow beings to melt, we will hold another Town Hall meeting to begin a vetting process for the entire plan – a process which will mirror the one we engaged in with the framework. The President has charged the Steering Committee with building consensus around a strategic plan and making recommendations to the Cabinet by the end of the semester, so we can begin to implement the plan with the start of the new fiscal year on July 1. The former General and late President Dwight David Eisenhower said this about the necessity of planning: “In preparing for battle I have always found that plans are useless, but planning is indispensable.” Our priority is to bring you a plan which will be indispensible to the future success and progress of this university. Feel free to contact us with any questions and suggestions. After more than a year of work, the Strategic Planning Steering Committee is pleased to present you with an opportunity to review and comment on the first draft of SCSU’s new strategic plan goals and objectives. As you know, President Papazian charged the 28-member Steering Committee in October 2013. The Committee organized itself into four work groups around four themes: academic excellence, scholarship and innovation, engagement, and resources and infrastructure. Each work group was co-chaired by a member of the faculty and one staff member. The Committee conducted several months of primary and secondary research on the respective themes. More than 60 individuals from across campus constituencies volunteered and assisted the Steering Committee in data gathering and other activities. The four work group co-chairs submitted their groups’ recommended goals and objectives at the end of the 2014 spring semester. Over the summer and into this fall semester, considerable work has been done to bring consistency and a single voice to the document. The President and her Cabinet have collaborated with the Steering Committee in a highly iterative process to arrive at the draft now presented for your review and input. Furthermore, during November, members of the Steering Committee will be visiting campus groups and constituencies to answer questions and receive additional input. We have already scheduled several of these meetings. If your group would like to host such a meeting, please contact Project Manager, Robert Forbus at forbusr1@southernct.edu. The Steering Committee will meet in early December to compile and consider all community input before completing this portion of the plan by the end of the fall semester. During the spring semester, the Committee will develop the action steps, metrics, timelines, persons responsible, and resources needed for each of the goals and objectives. Again, there will be ample time for input from the SCSU community. The plan will be completed by the end of the spring semester with implementation to begin on July 1, 2015. The Steering Committee looks forward to your participation in this important work.